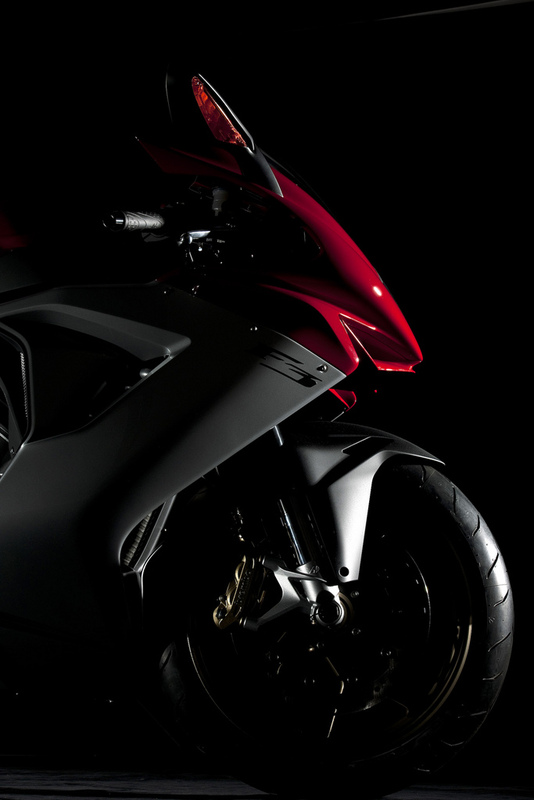 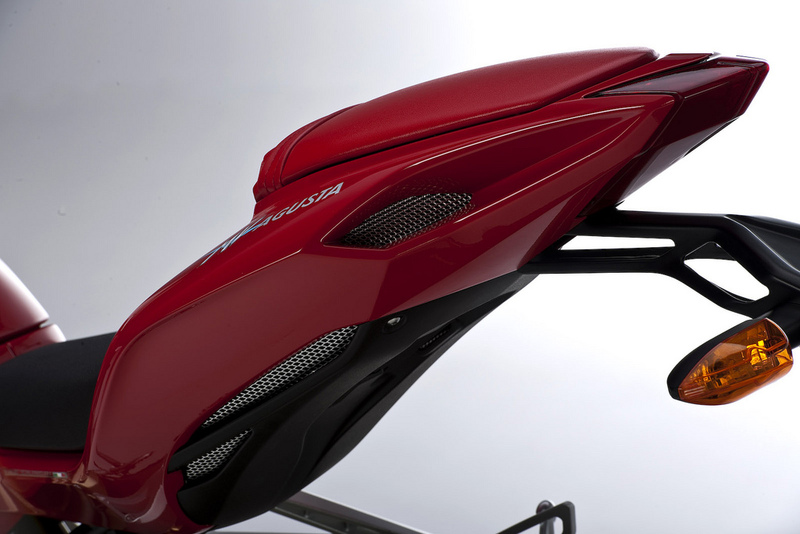 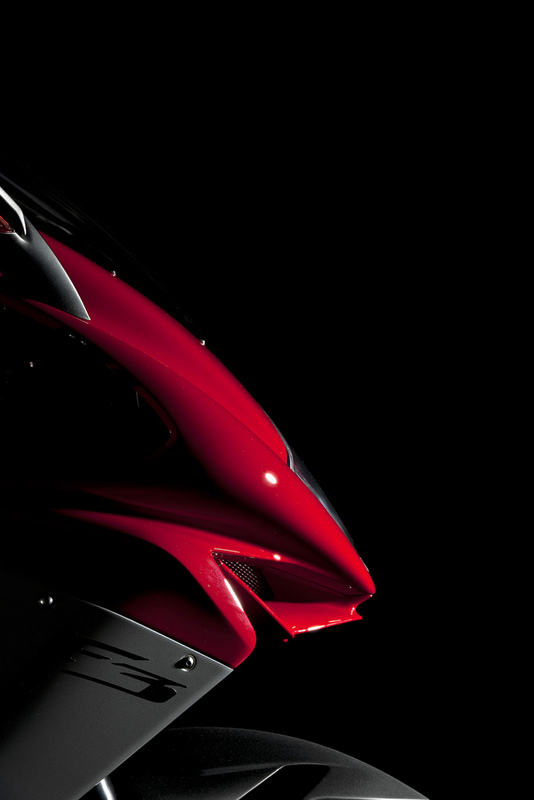 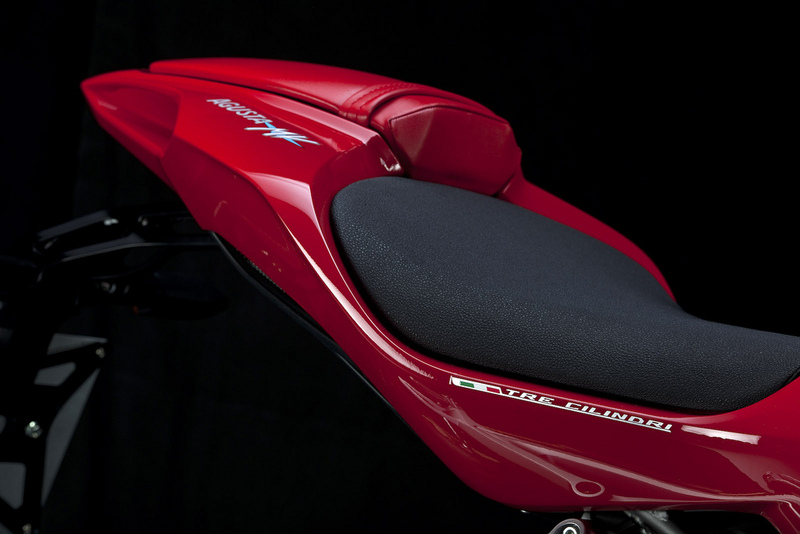 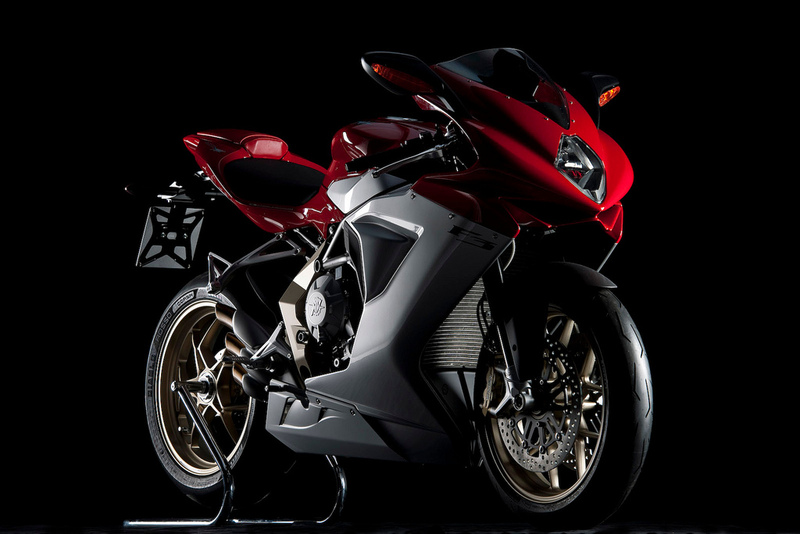 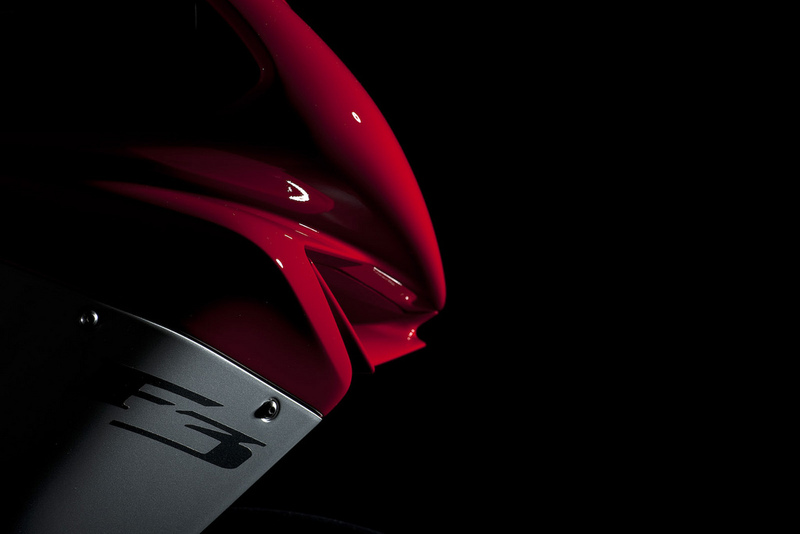 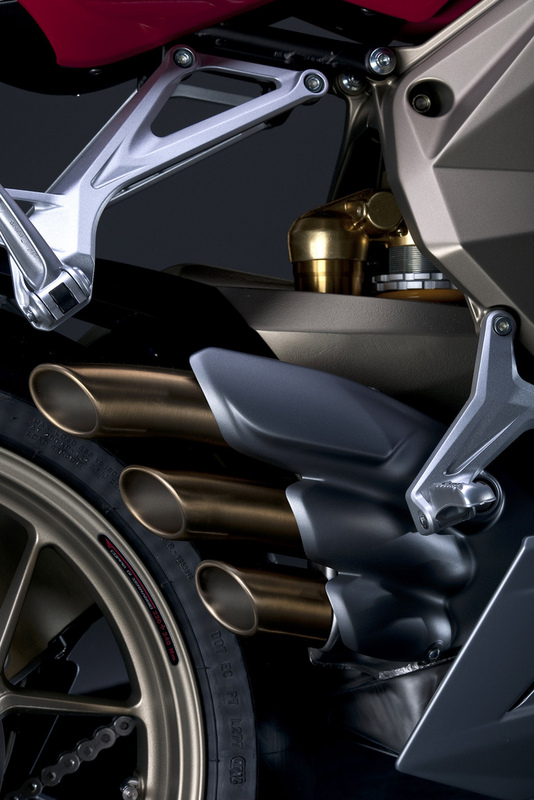 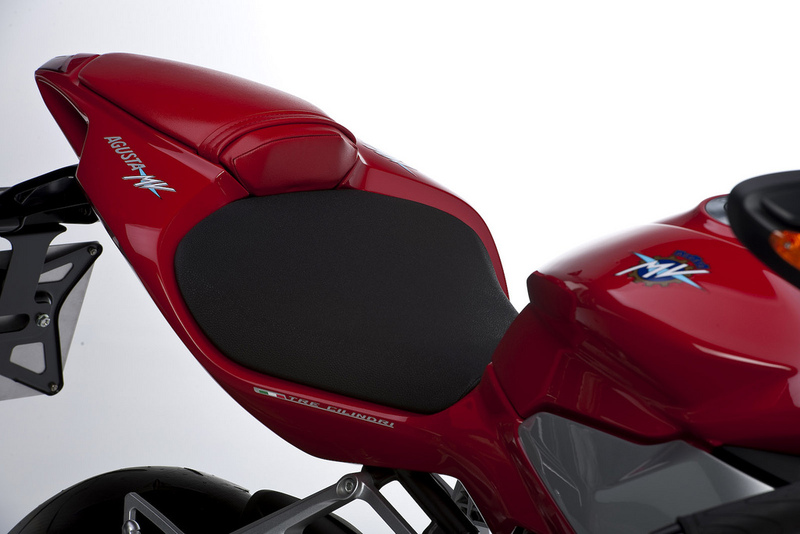 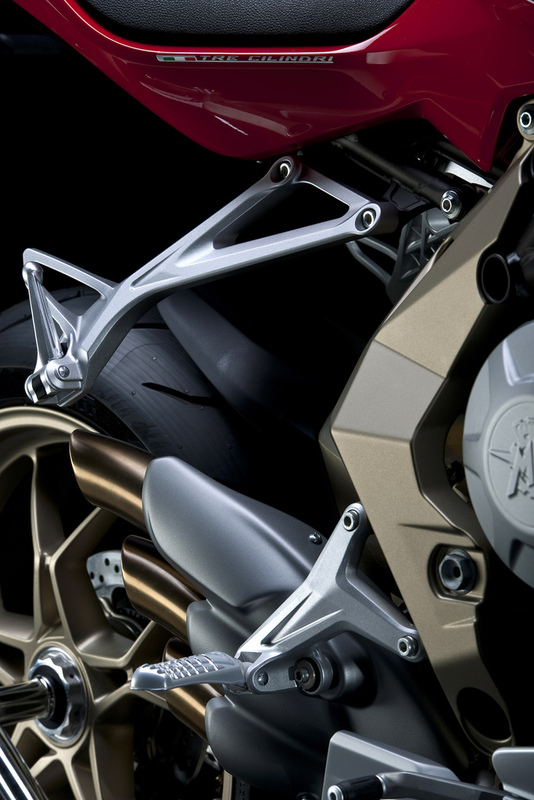 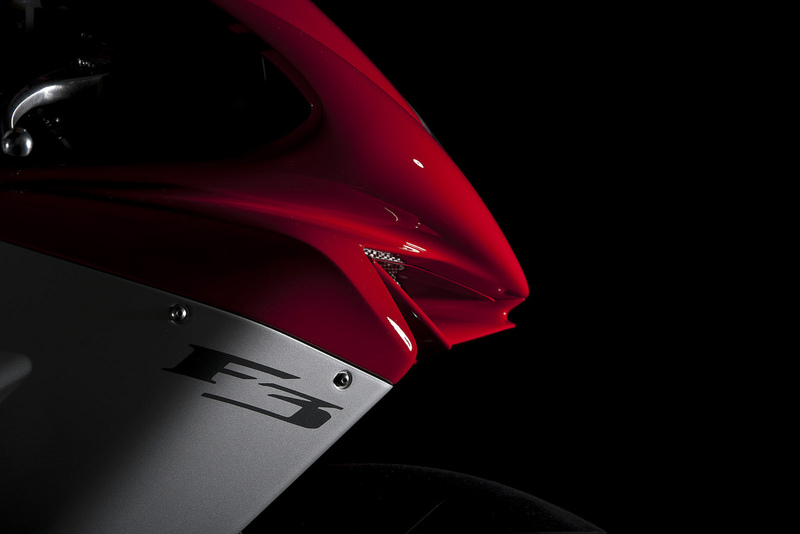 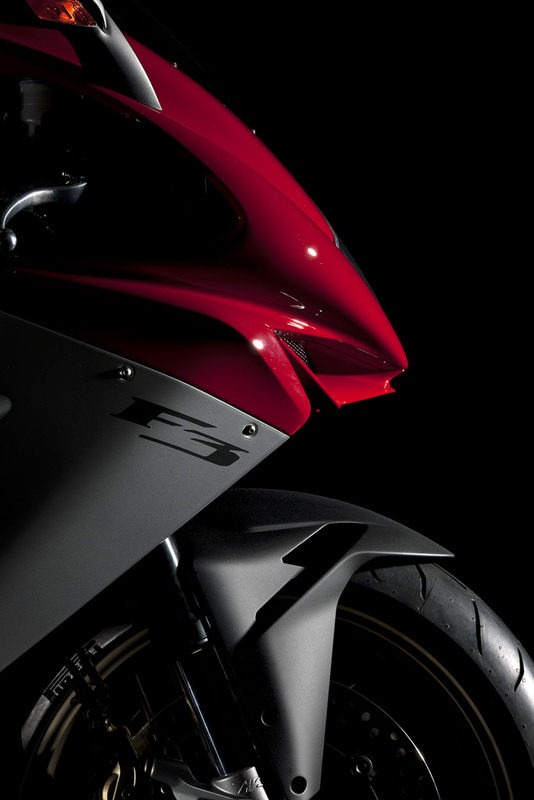 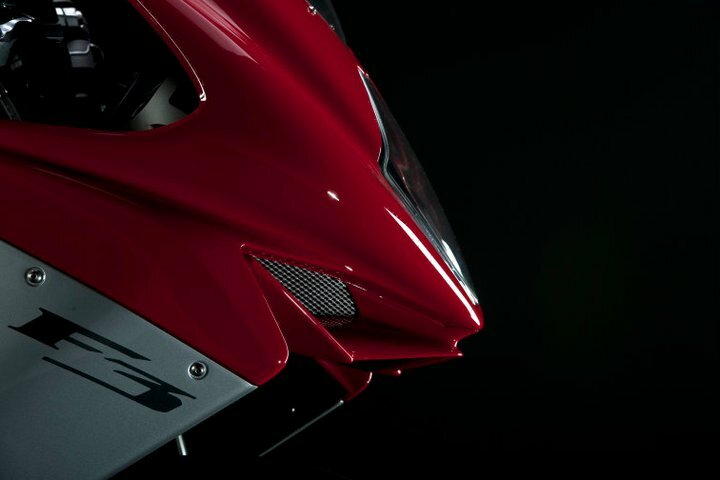 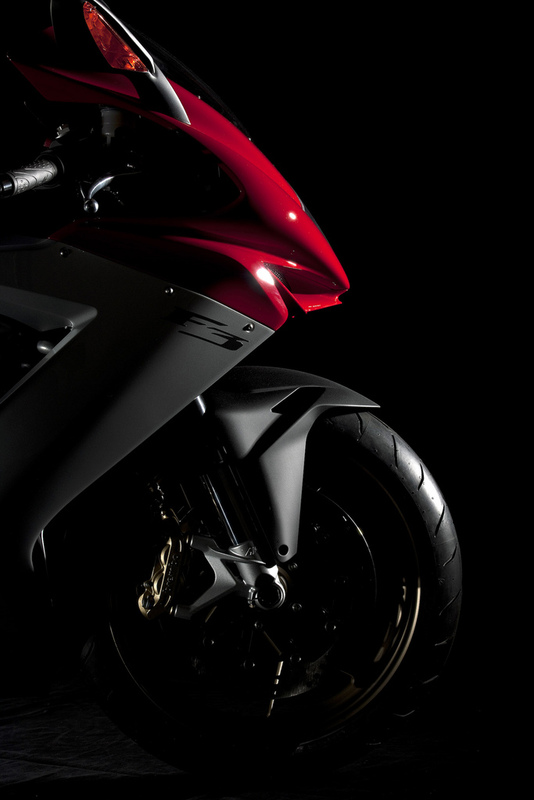 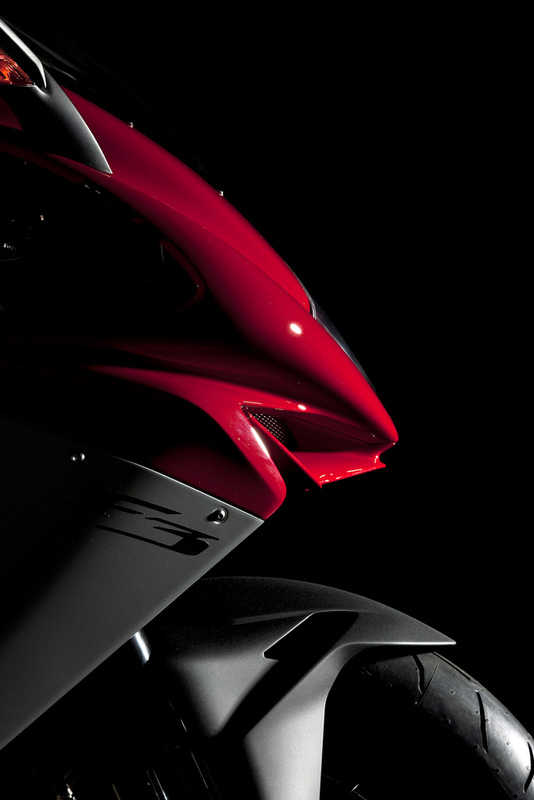 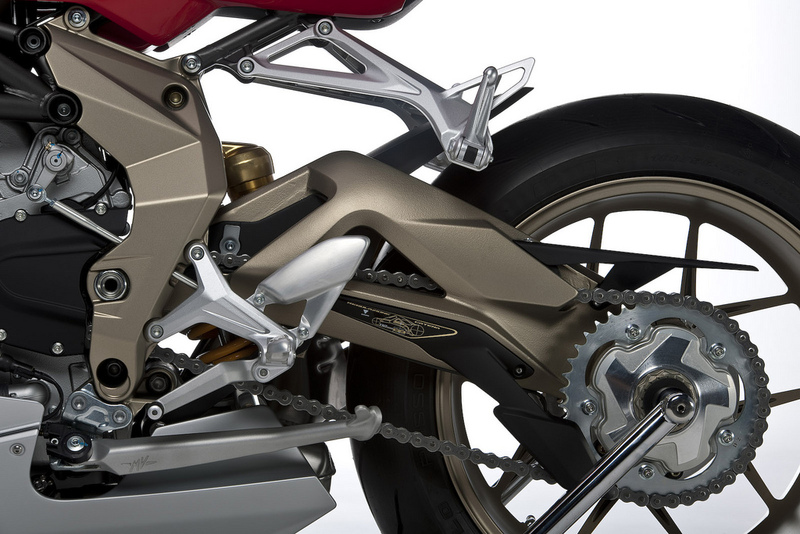 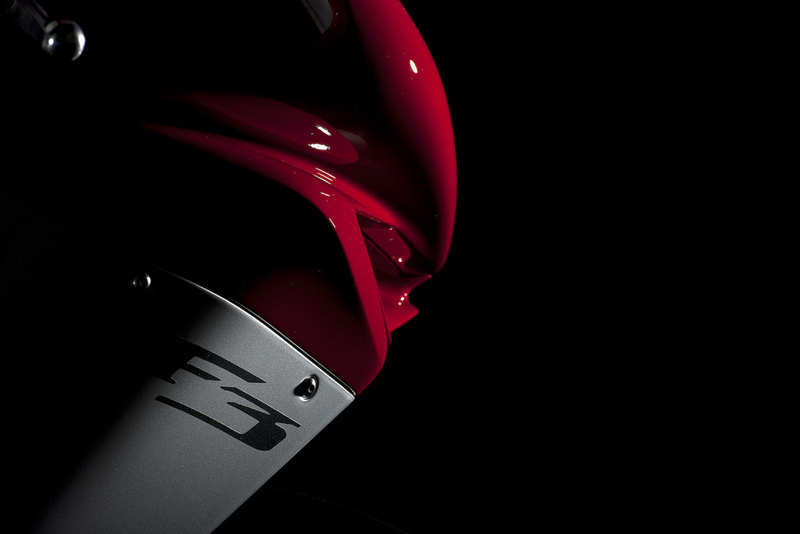 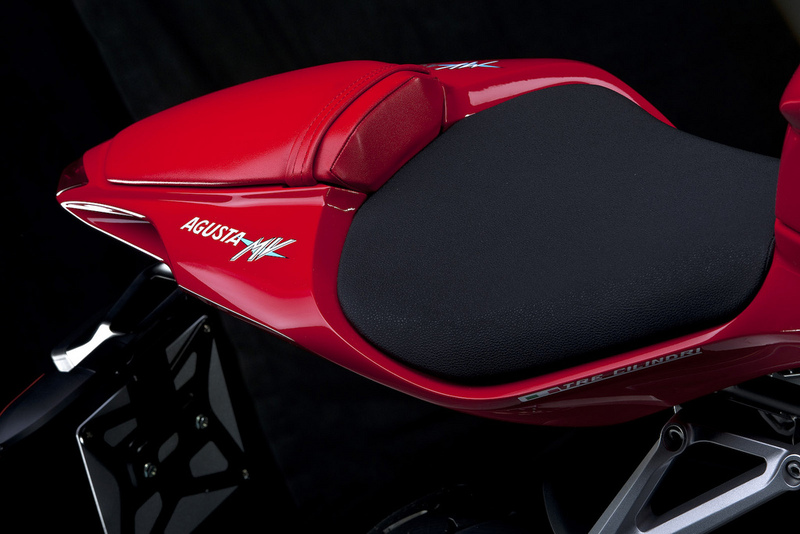 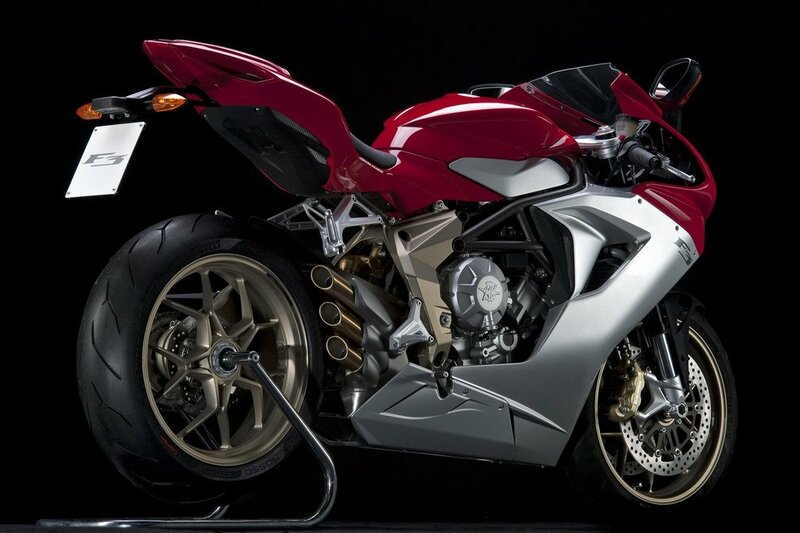 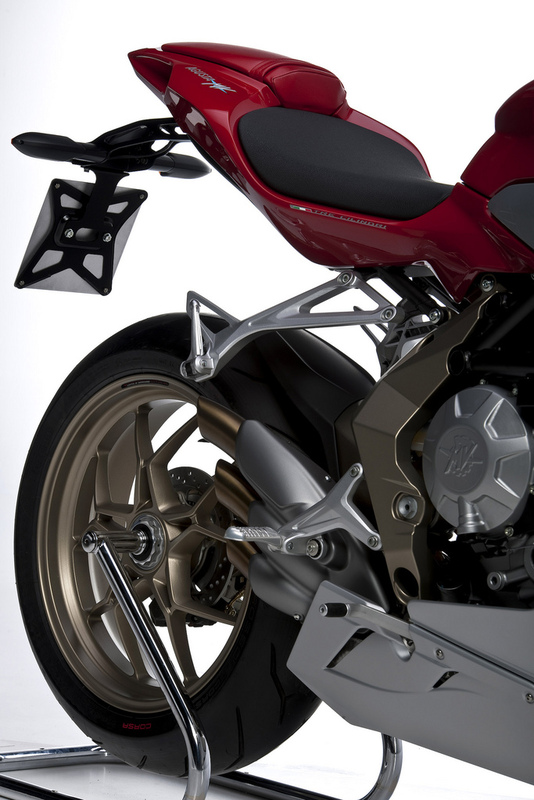 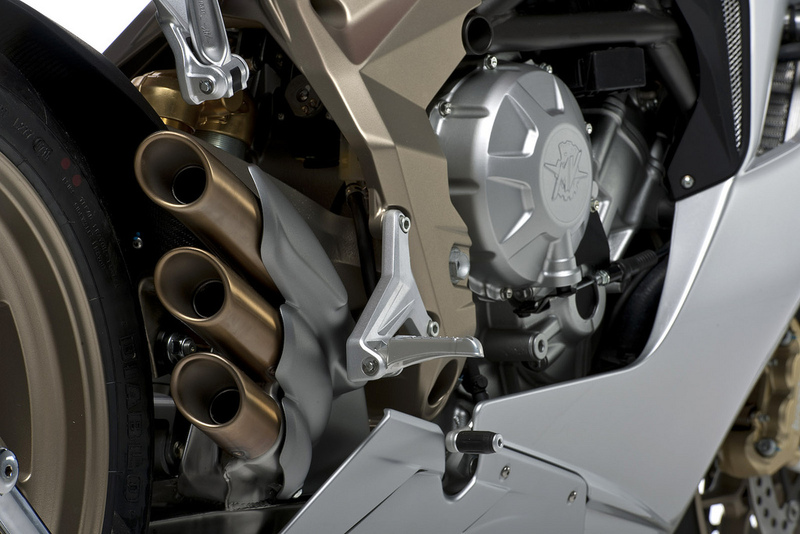 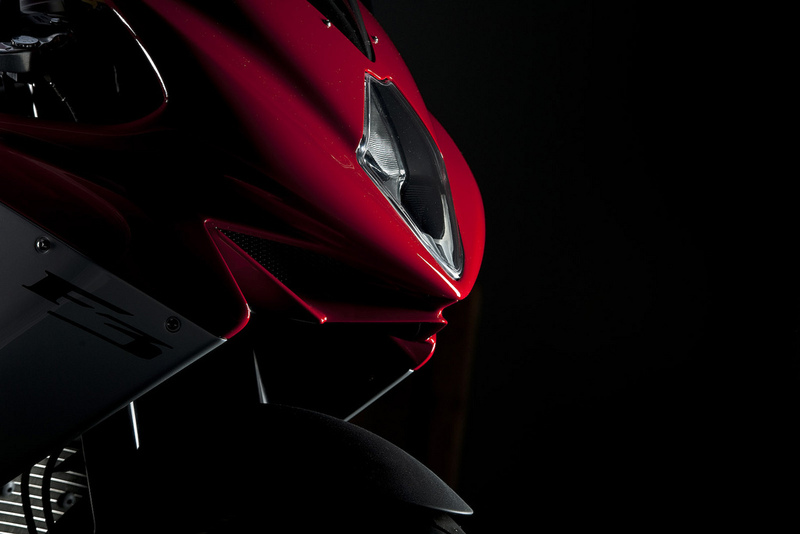 MV Agusta must be feeling antsy about the upcoming EICMA show in Milan, as the Italian company first teased its MV Agusta Brutale 675 in a video last week, and today it has released the final specifications of its upcoming 2012 MV Agusta F3 motorcycle. 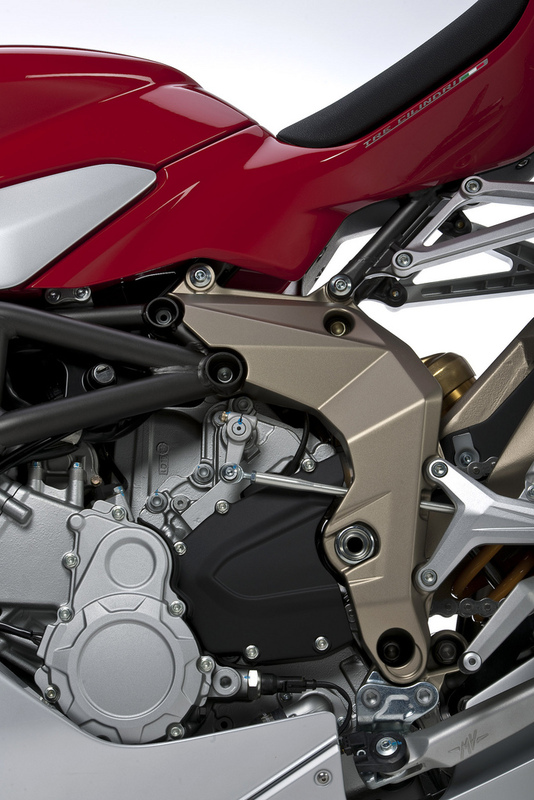 While we’re sure the 126hp 675cc three-cylinder motor, with its 52 lbs•ft of torque, will please the discerning supersport purchaser, MV Agusta is betting that its MVICS (Motor & Vehicle Integrated Control System) electronics package is what is really going to get you excited about the Italian machine (did we mention it looks gorgeous too?). 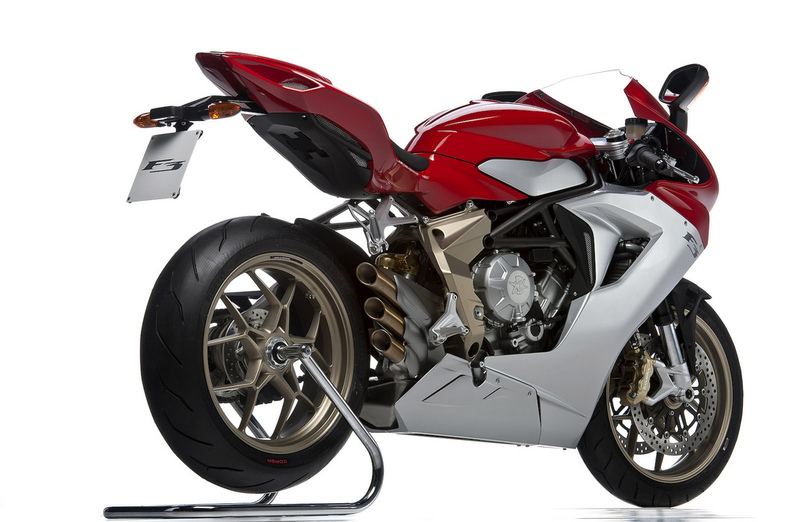 Clearly reading our thoughts that electronics are the new horsepower, the MV Agusta F3 675 is now the only supersport to boast ride-by-wire & traction control, and also comes along with optional wheelie and launch control vehicle dynamics. 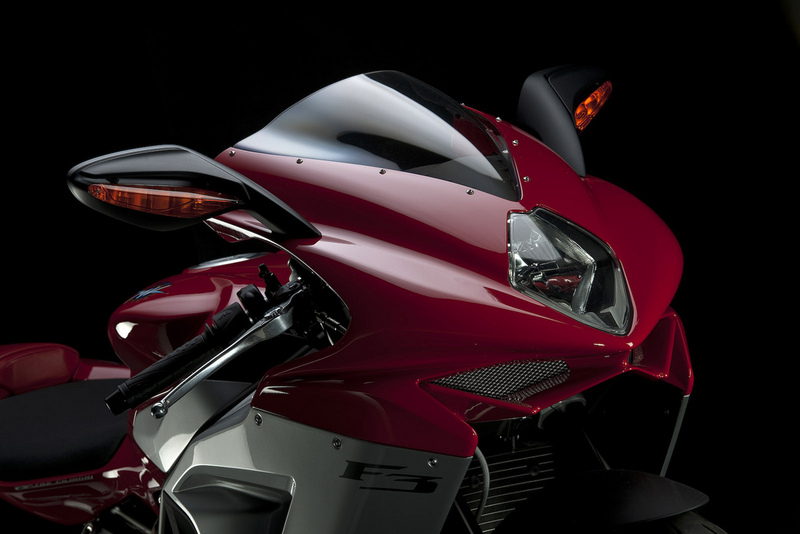 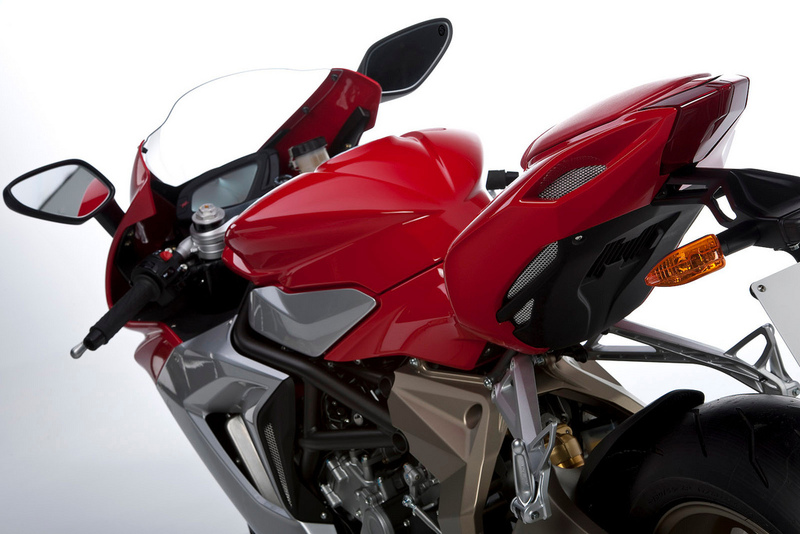 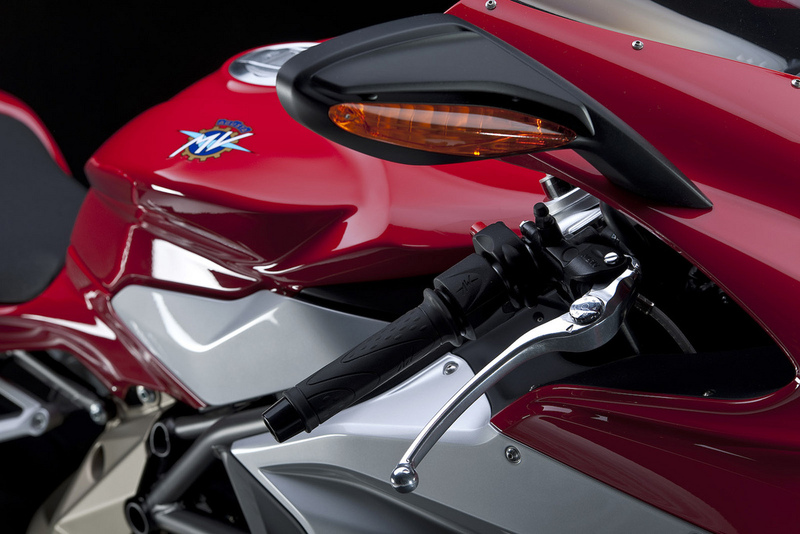 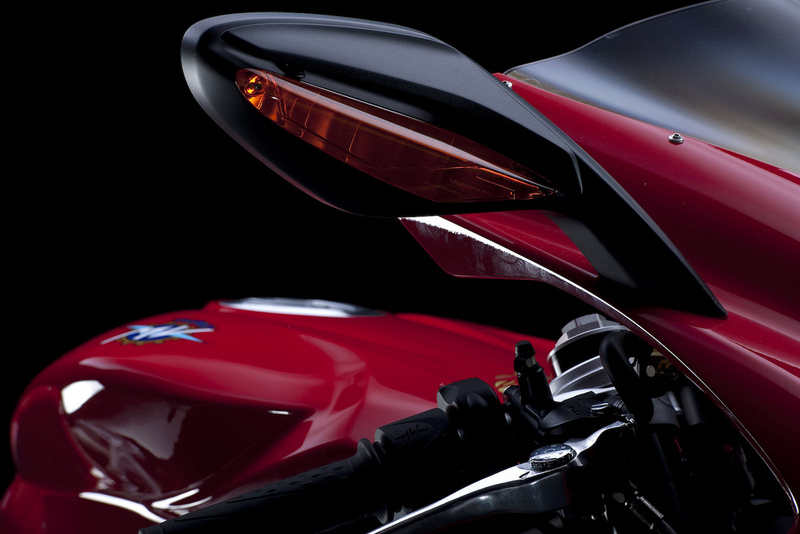 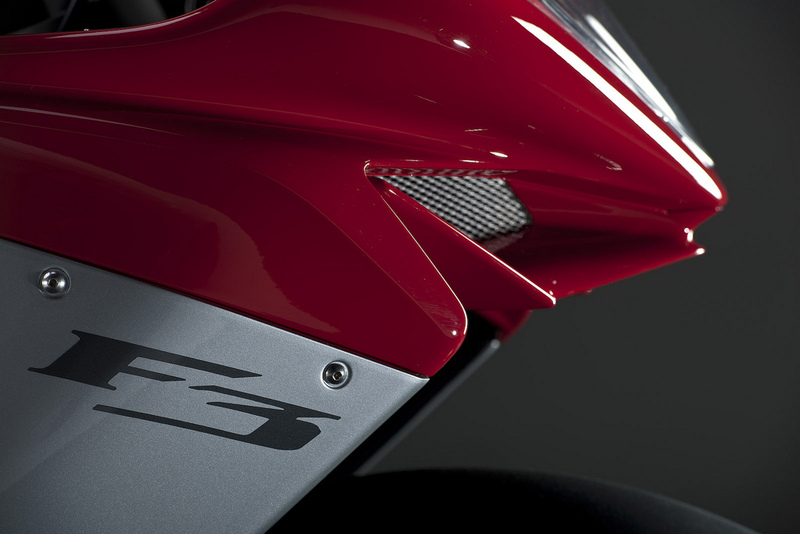 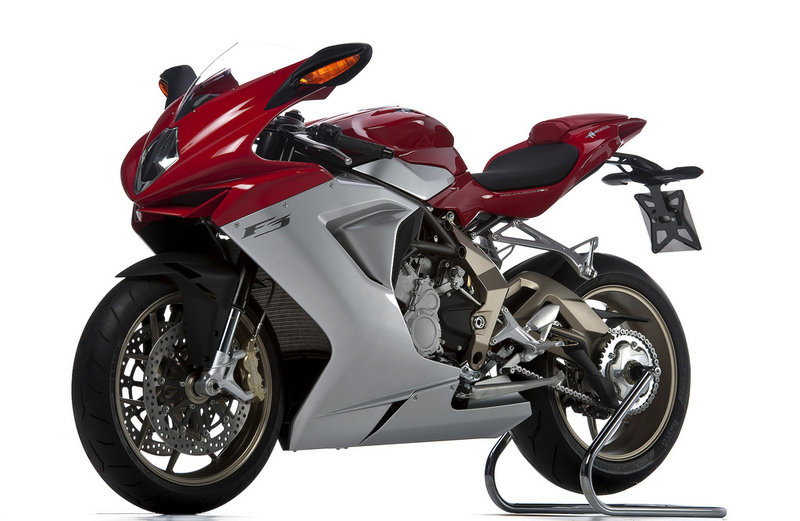 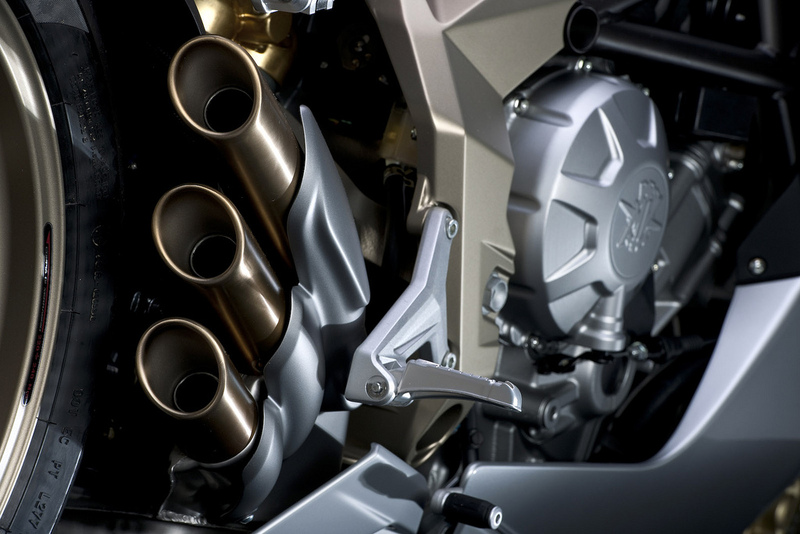 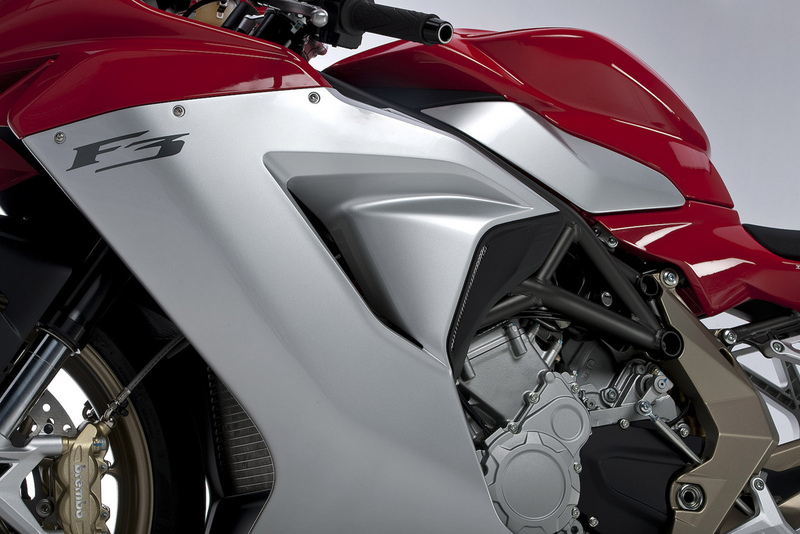 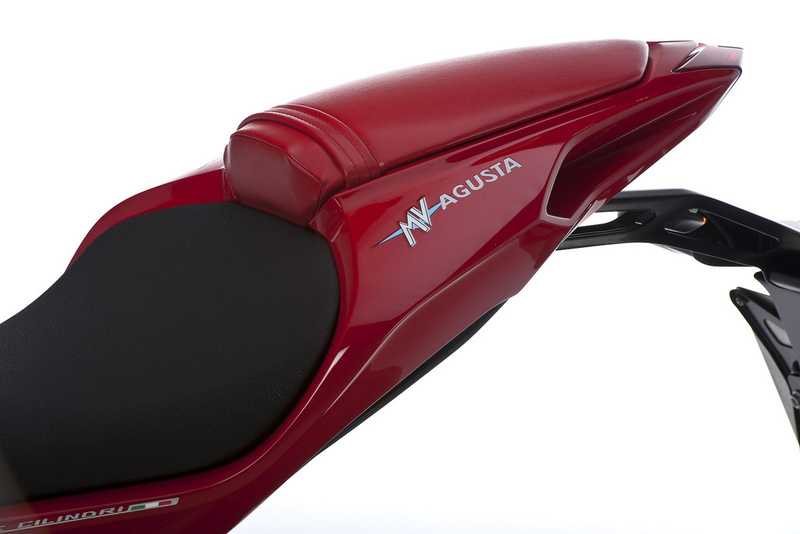 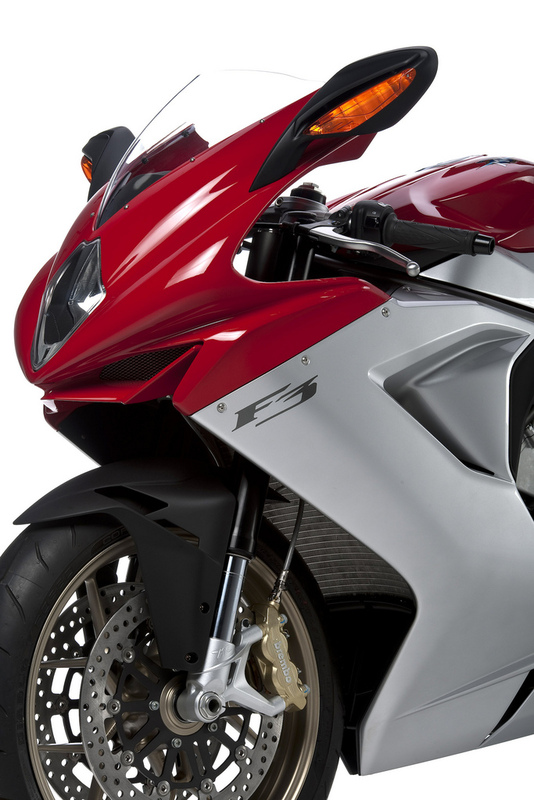 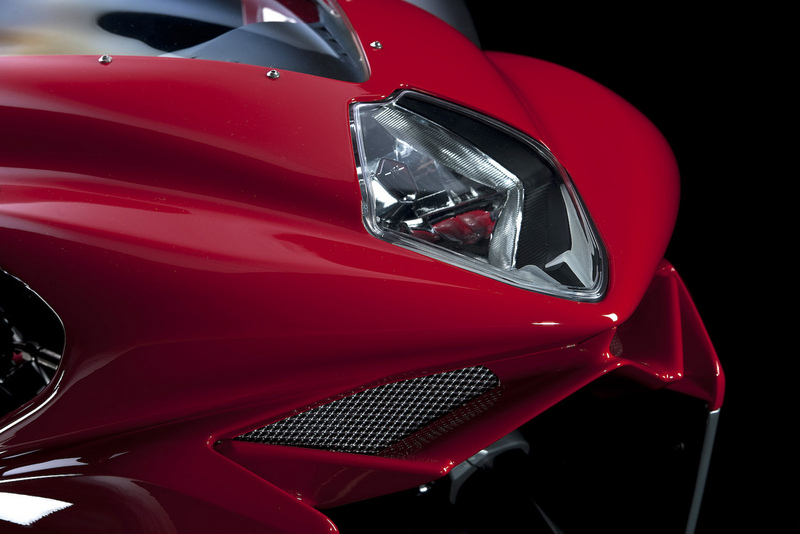 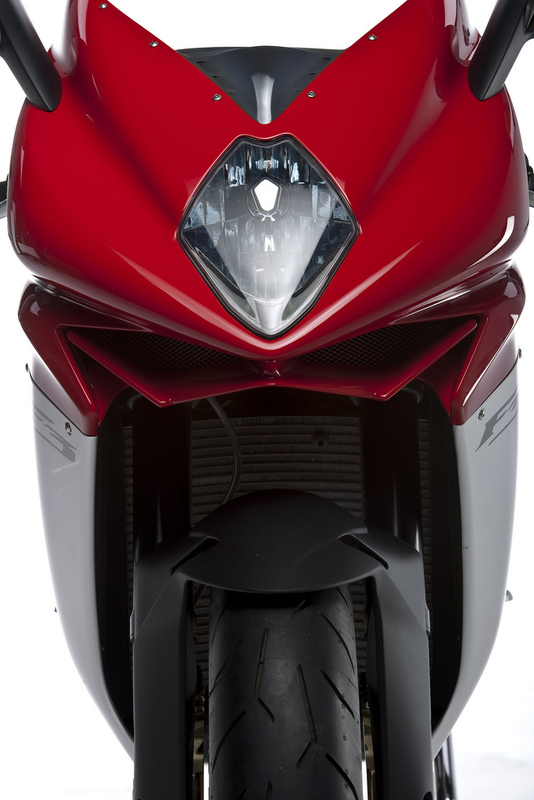 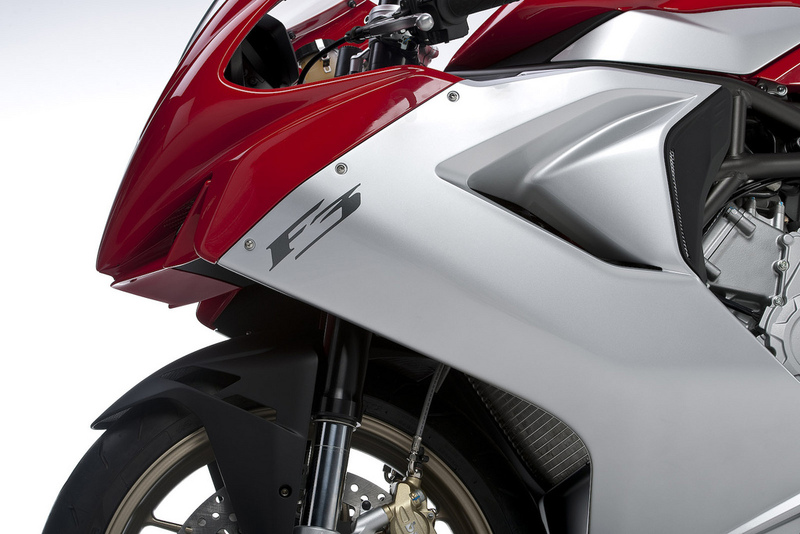 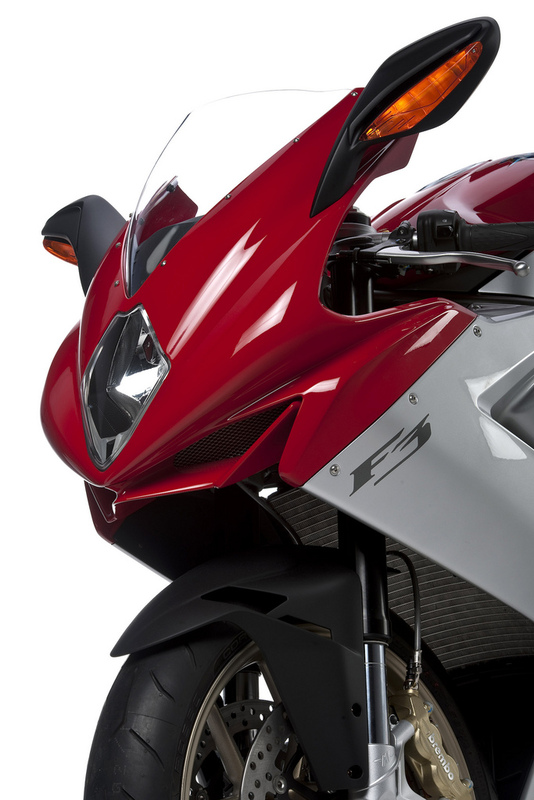 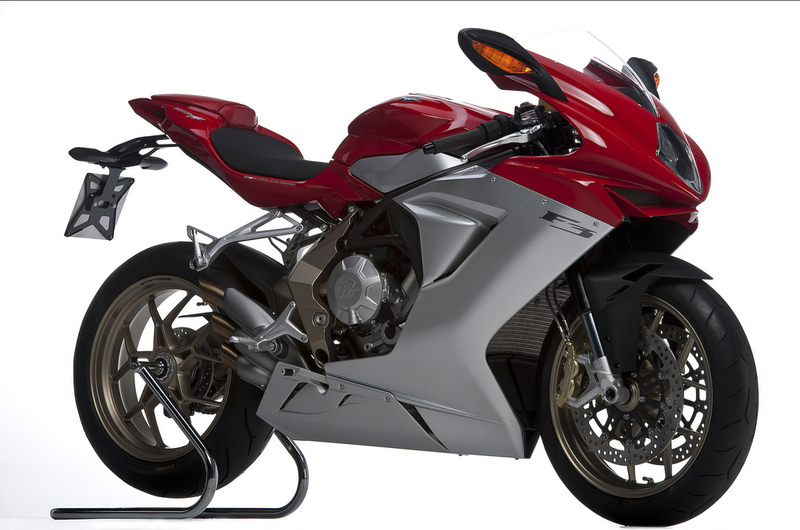 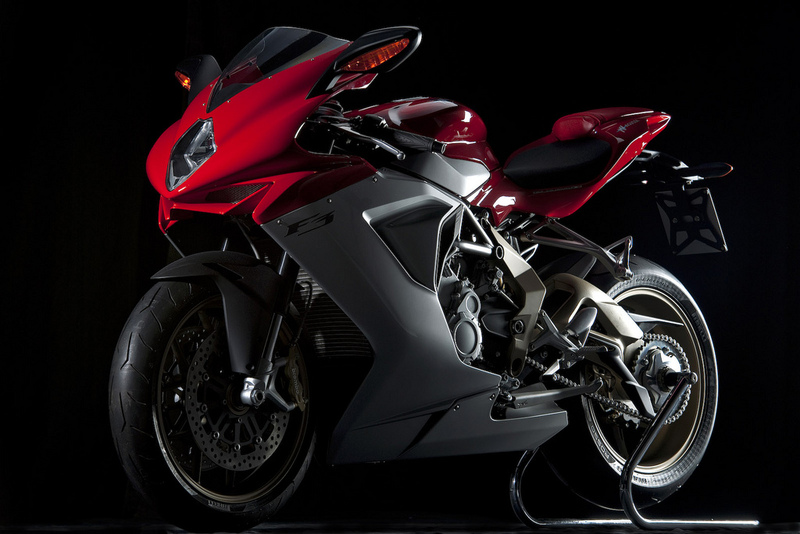 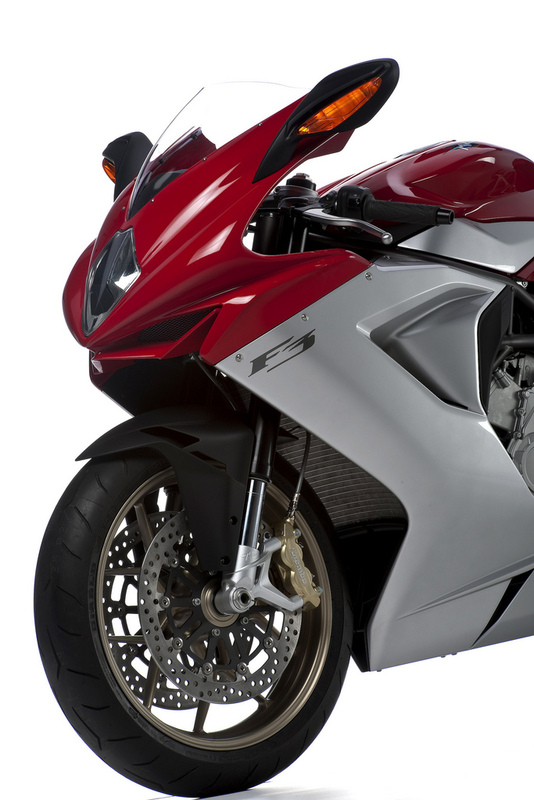 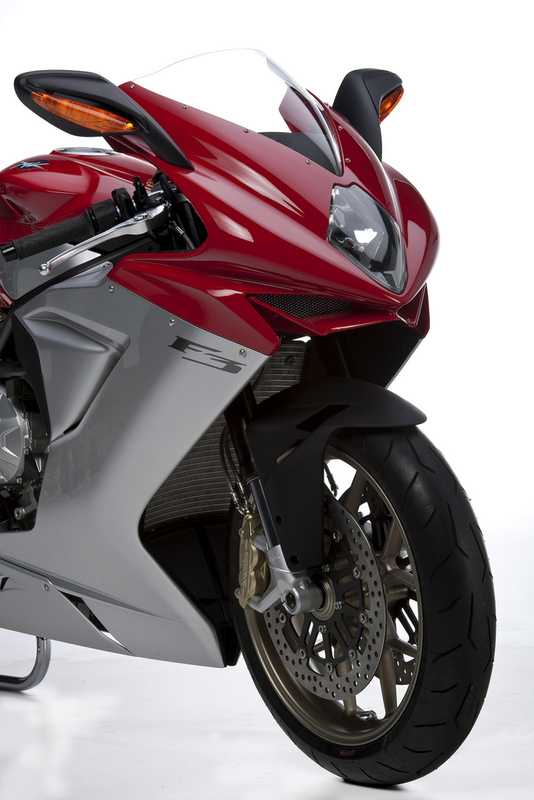 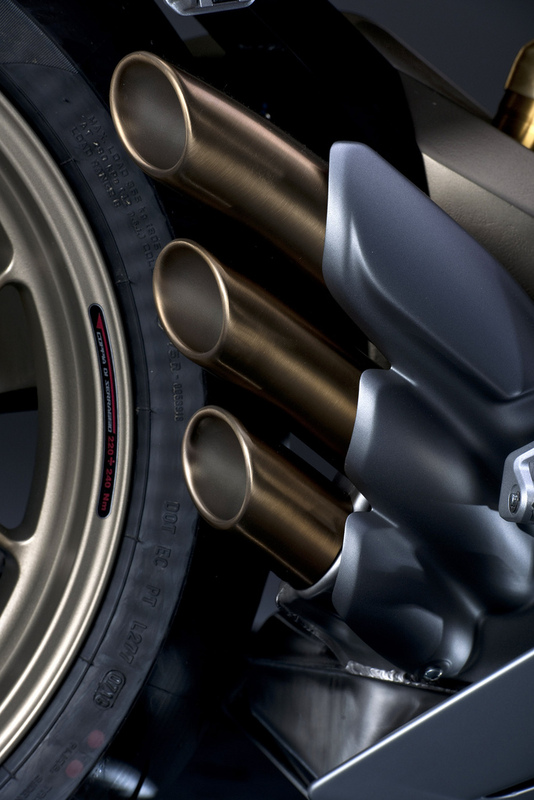 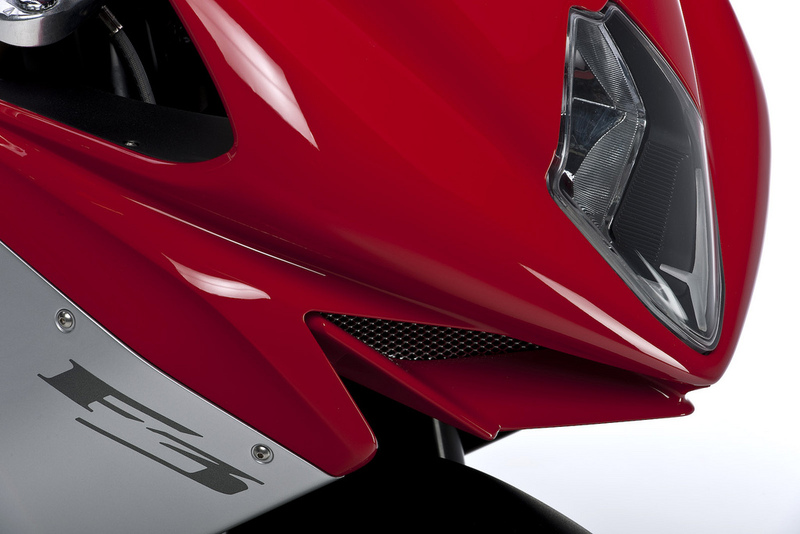 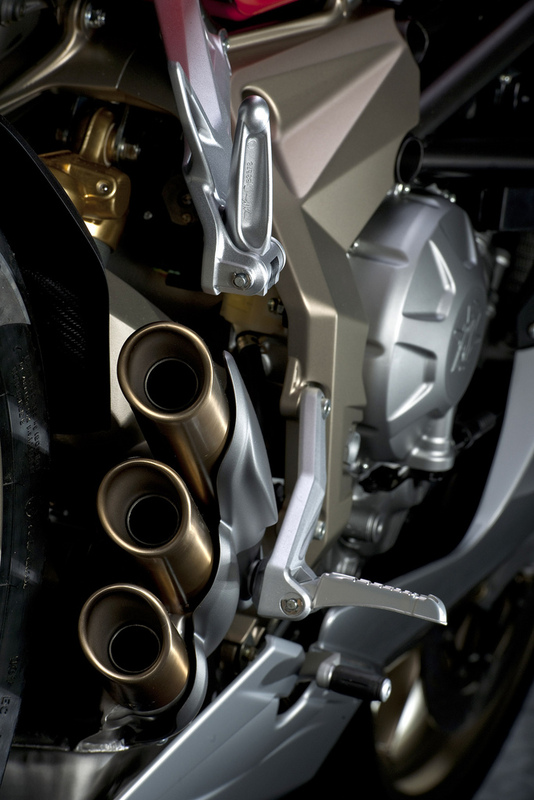 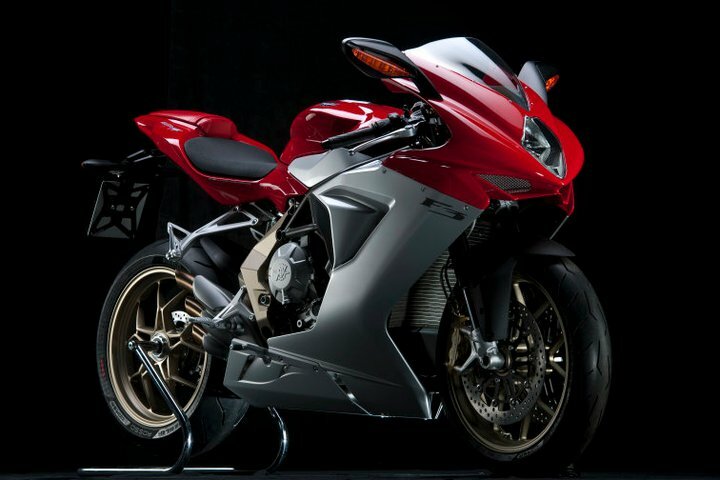 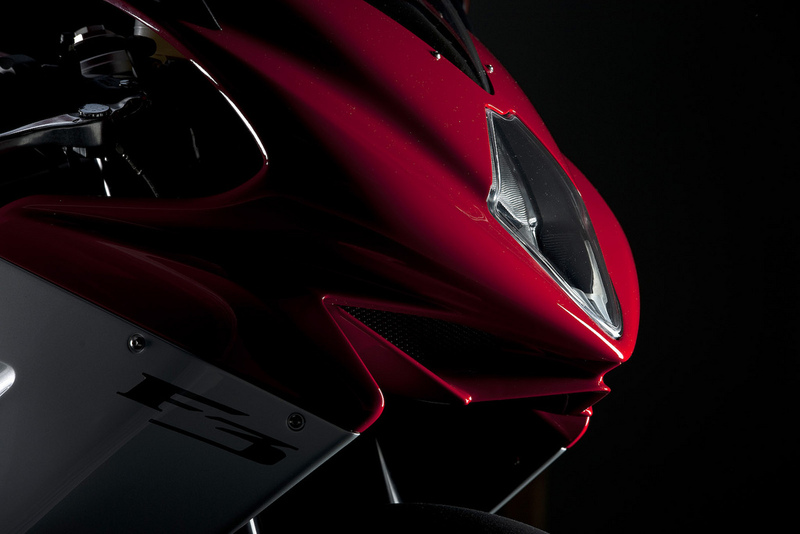 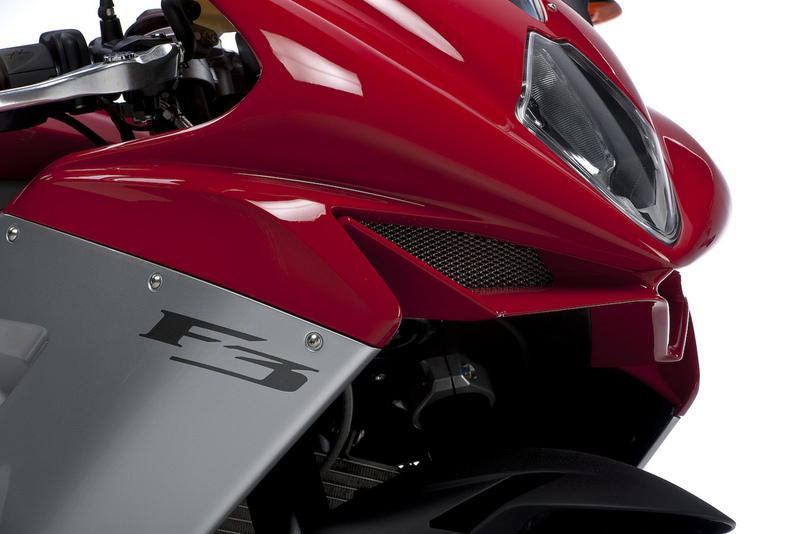 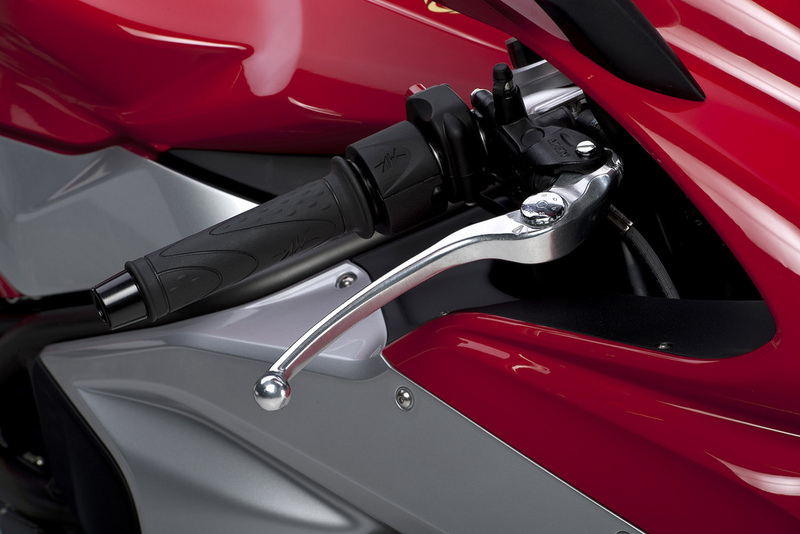 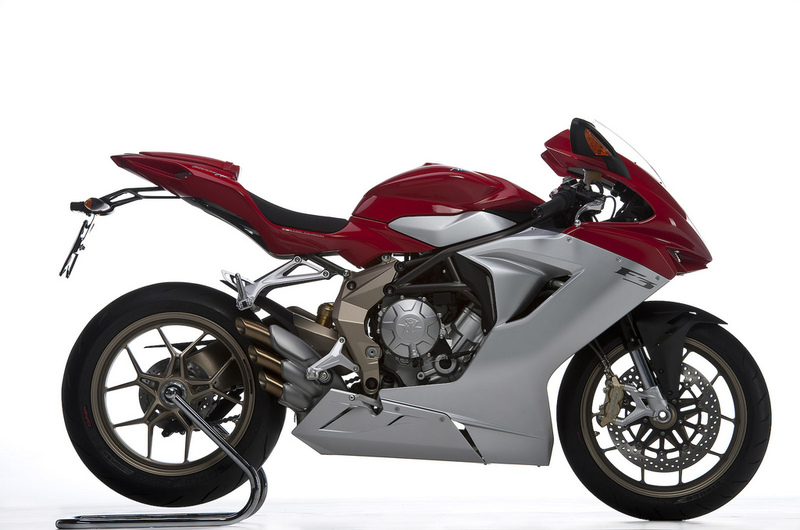 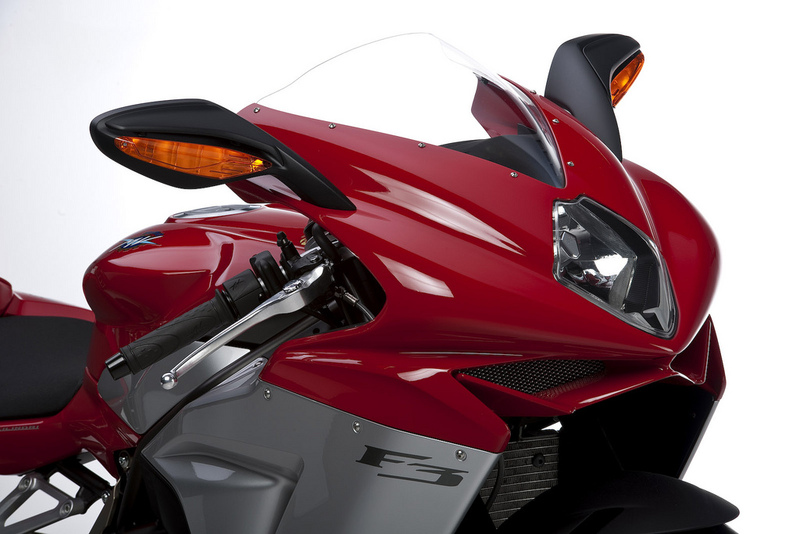 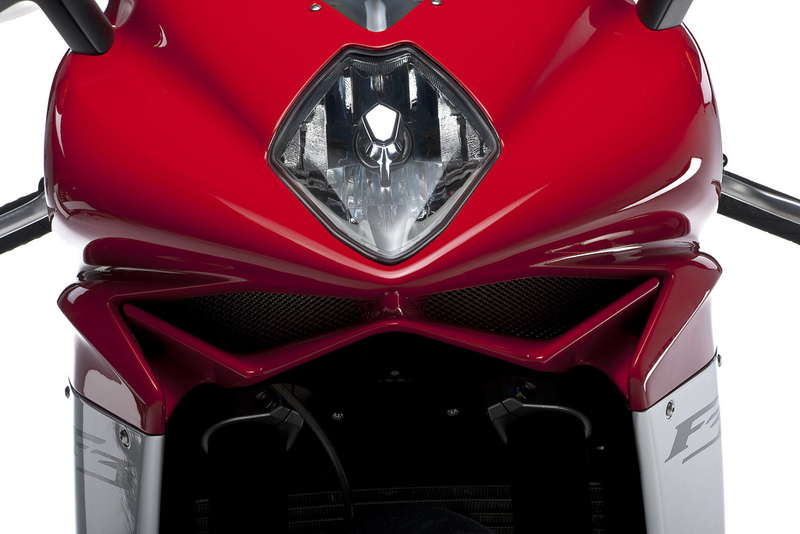 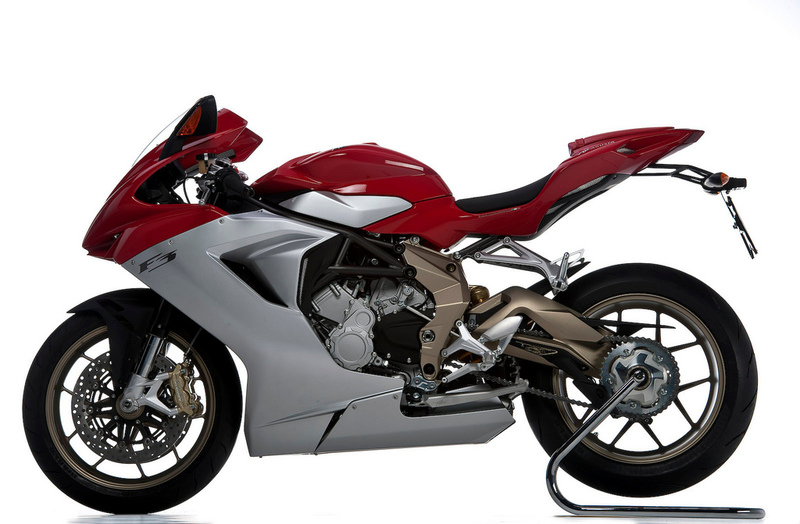 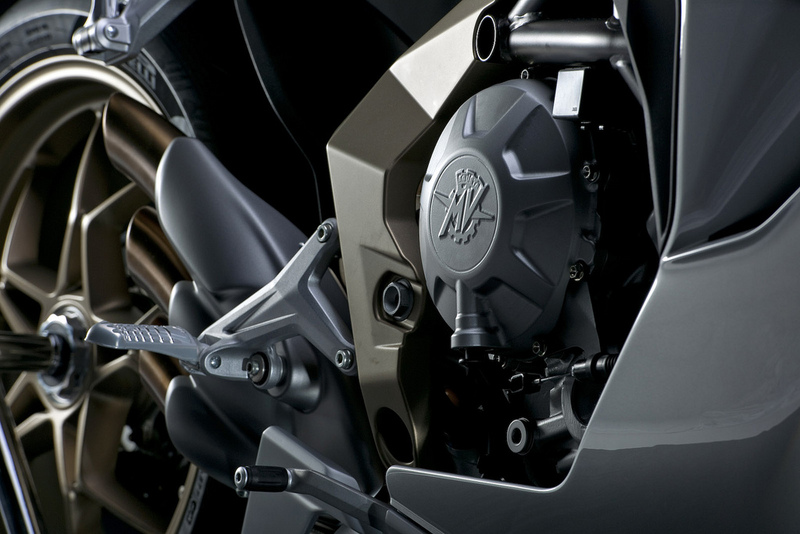 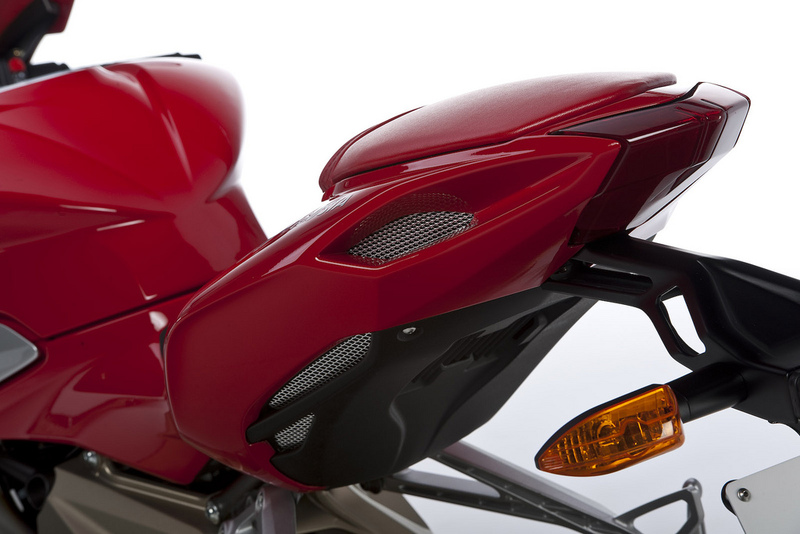 At the core for the 2012 MV Agusta F3 675 is of course its 675cc three-cylinder engine. 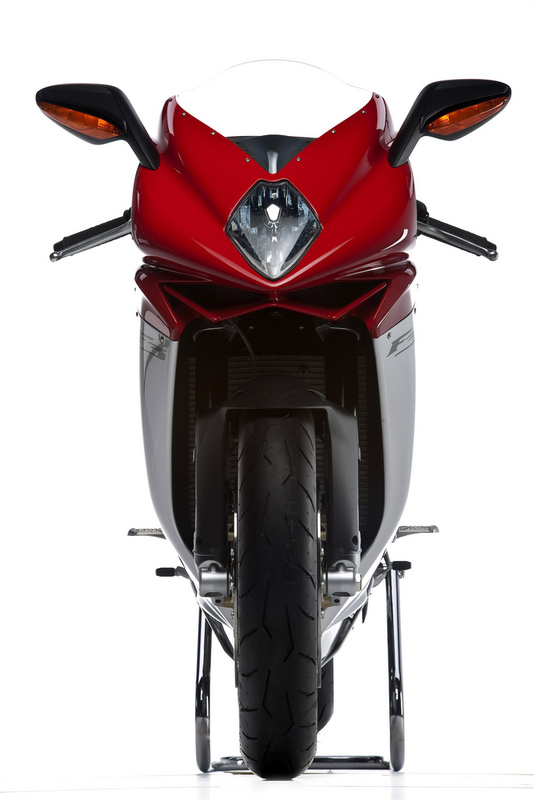 With a 79mm bore and 45.9mm stroke, the sporty triple is sure to have a narrow powerband with its very over-square design, and 14,500 peak power output figure (15,000 rpm red line, with peak torque at a very high 10,600 rpm). 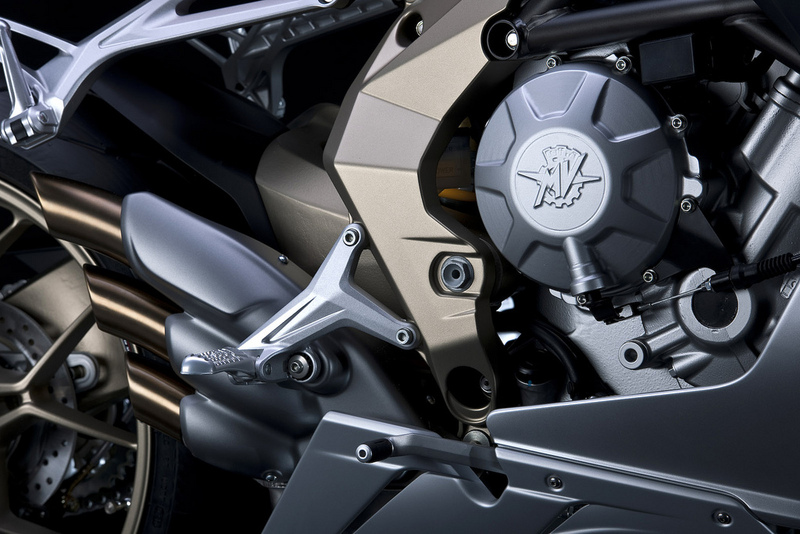 Other engine features include titanium valves, 50mm throttle bodies, and dual fuel injectors for each cylinder. 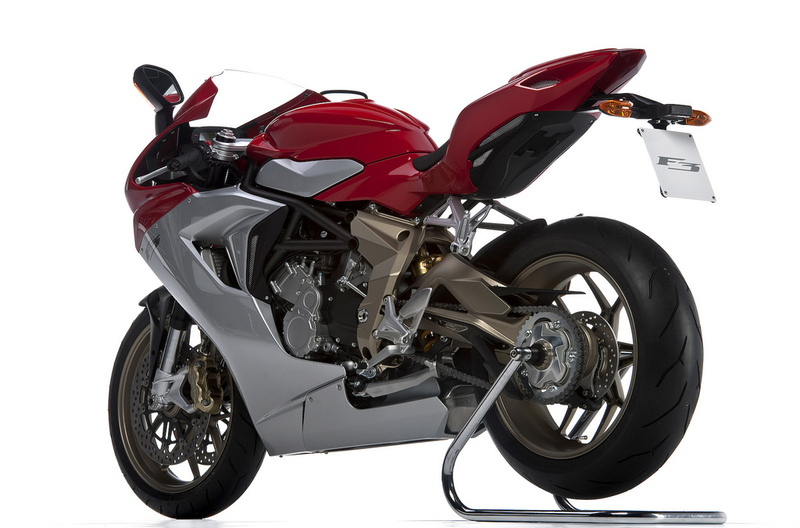 Throw in a 1.38 meter (54.3 inch) wheelbase, and a 173kg (381 lbs) weight, and all of this adds up to a formidable middleweight machine, but the real kicker from MV Agusta is the F3’s electronics package. 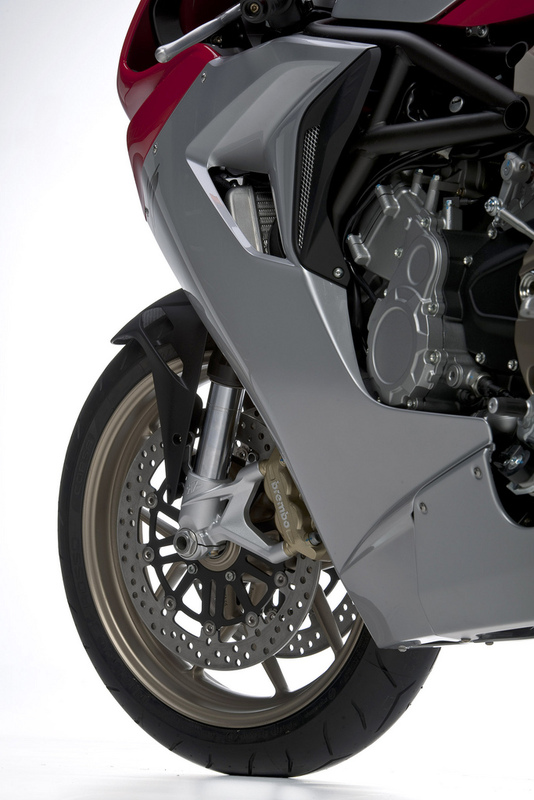 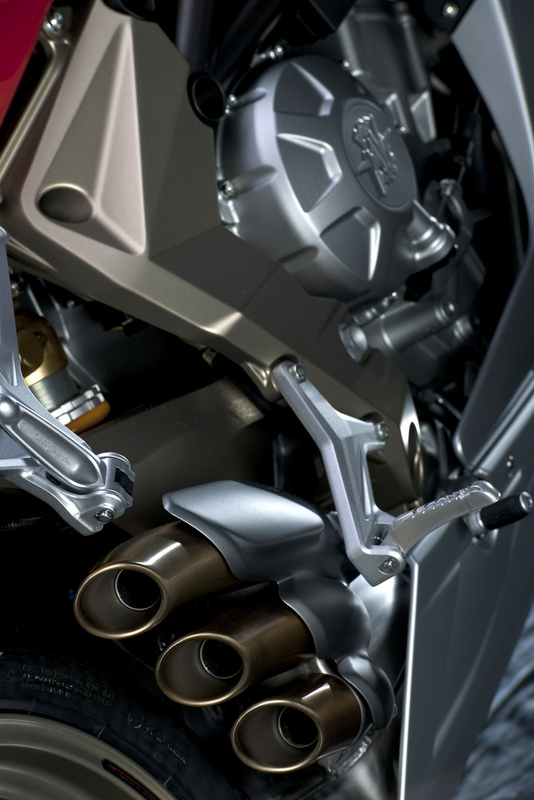 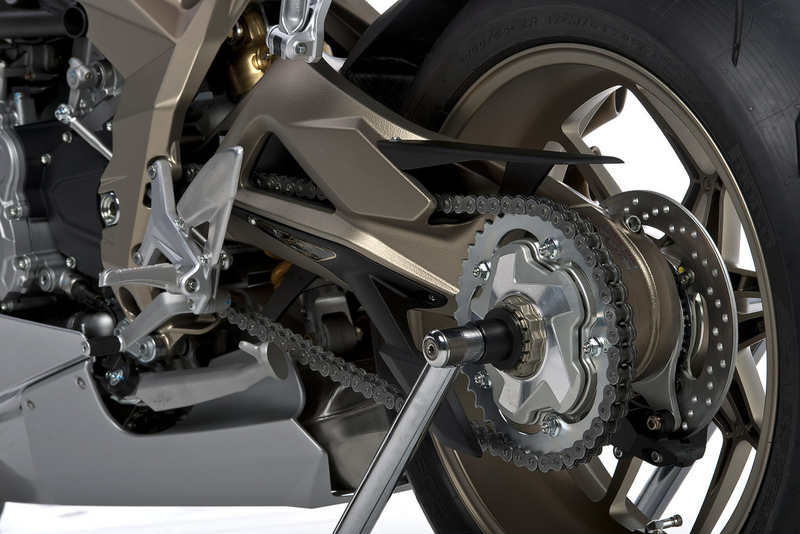 The full MVICS system includes four pre-set engine maps, with one user-customizable map, which work along the MV Agusta F3’s eight different levels of traction control. 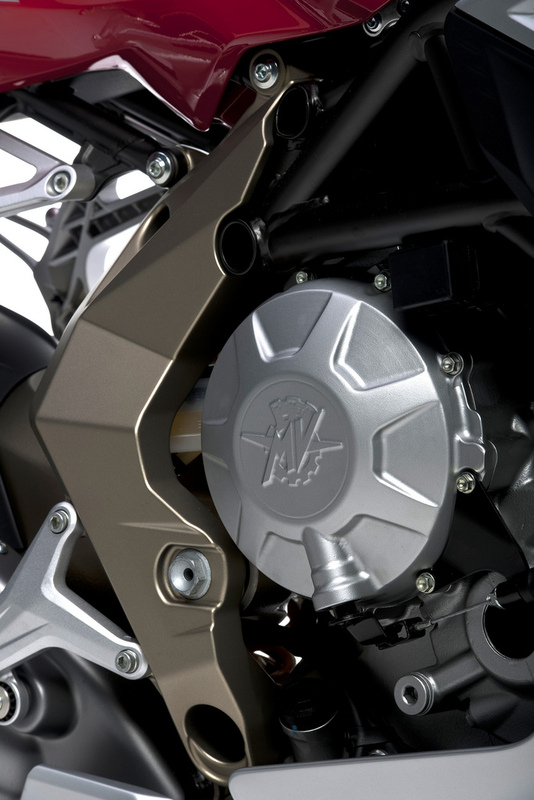 To unlock the full-potential of the MVICS package, F3 owners will have to buy some special optional parts, including a vehicle lean sensor that interfaces with the traction & engine control systems, a launch control module that also has anti-wheelie control, and lastly an Electronically Assisted Shift (EAS) quick-shift system. No word yet on pricing for these systems, but don’t expect them to be cheap. 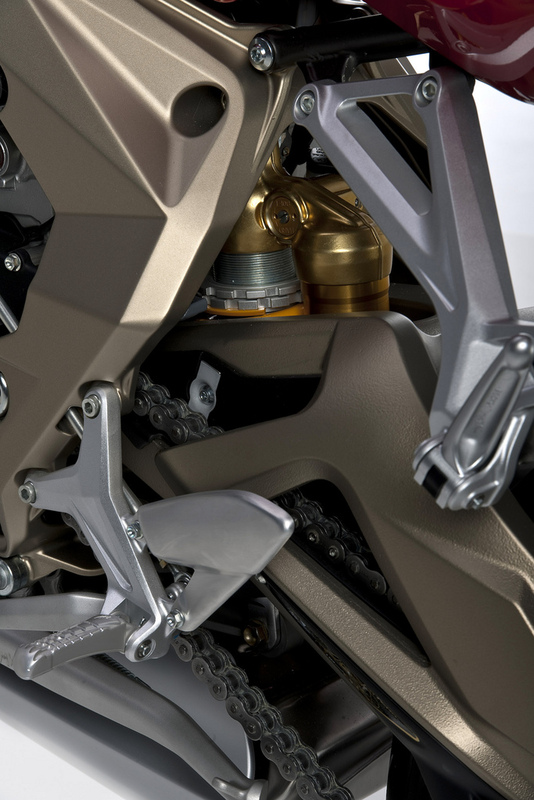 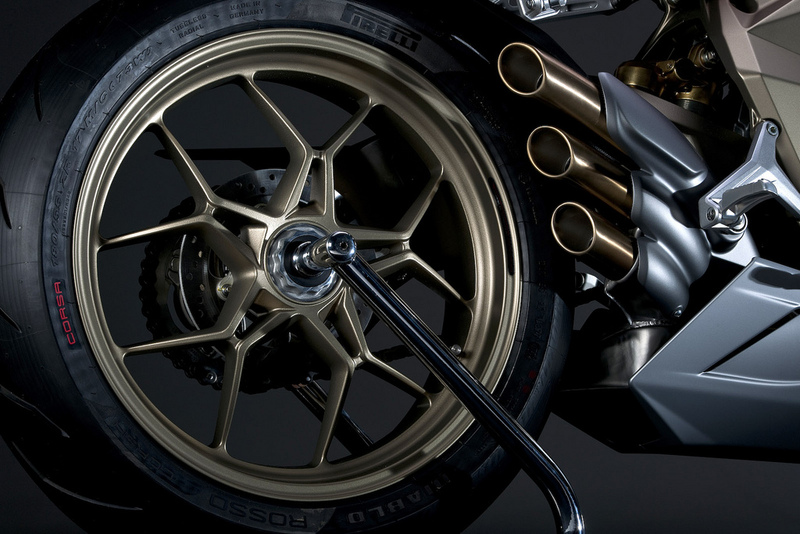 Other components include fully-adjustable Marzocchi 43mm front forks, along with a Sachs piggy-back rear shock. 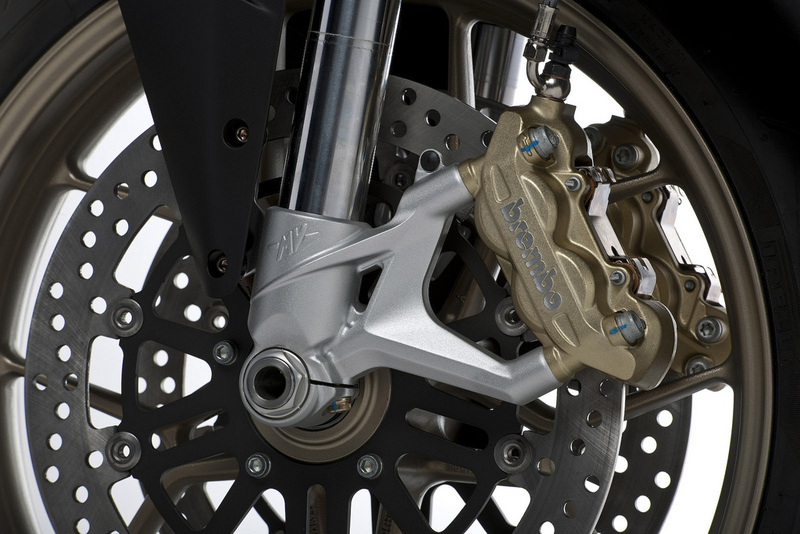 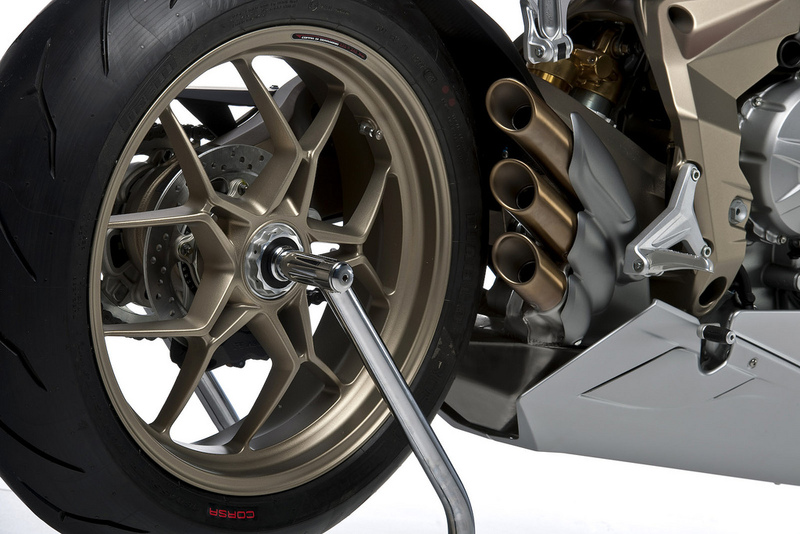 Brakes are Brembo radial calipers and 320mm front discs mated to a Nissin radial master cylinder, while the wheels are said to be “ultra-light” for whatever that is worth. 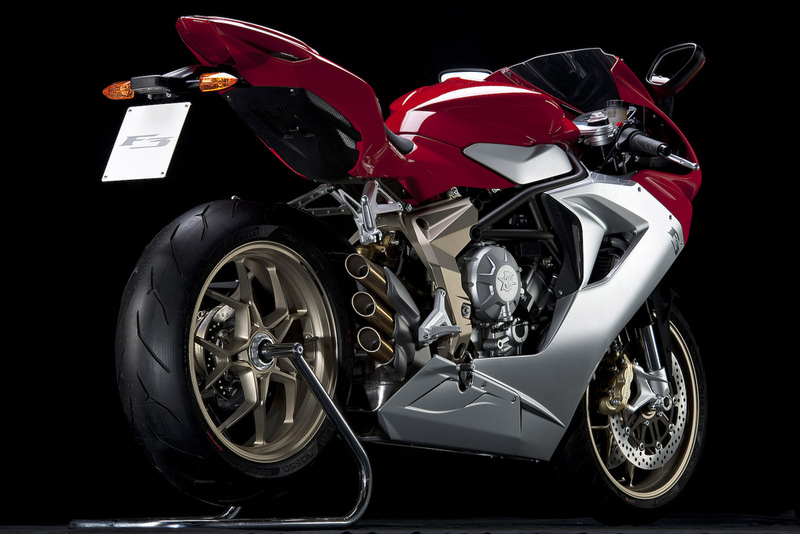 The new MV Agusta F3 675 Serie Oro will be available in December, while the Italian company now says that the base version will be available in January. 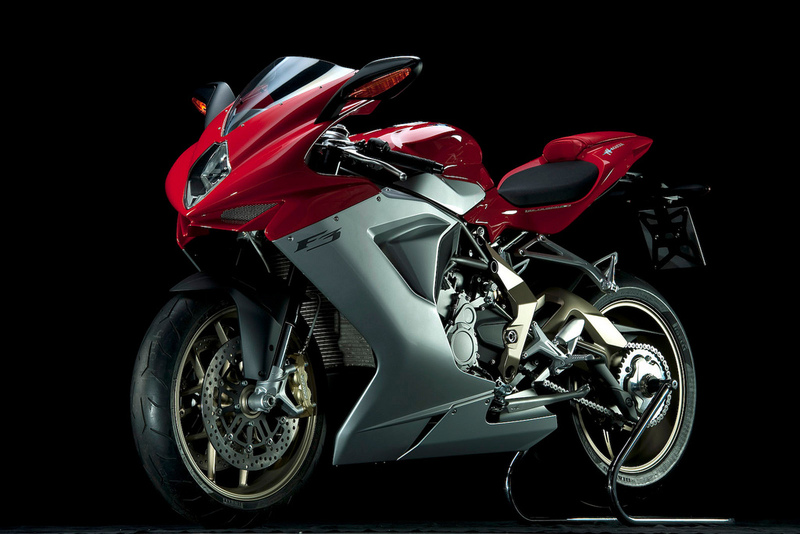 European pricing is set at €11,990, making the MV Agusta F3 a potent competitor for the Triumph Daytona 675. 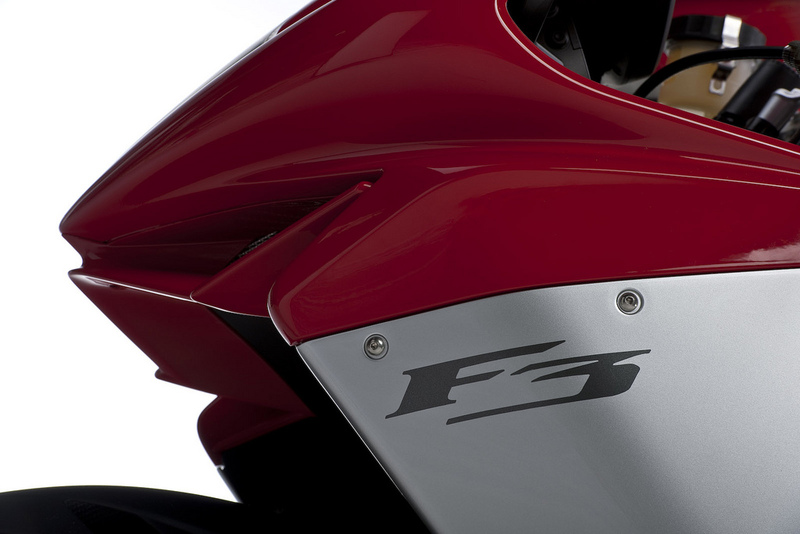 The F3 will come in the following three color choices: red/silver, pastel white, and pastel black/metallic anthracite.